President Donald Trump is considering yet another shakeup of his administration, preparing to remove Department of Homeland Security Secretary Kirstjen Nielsen and looking at possible replacements for Chief of Staff John Kelly, including Vice President Mike Pence's Chief of Staff Nick Ayers, according to multiple sources familiar with the matter. 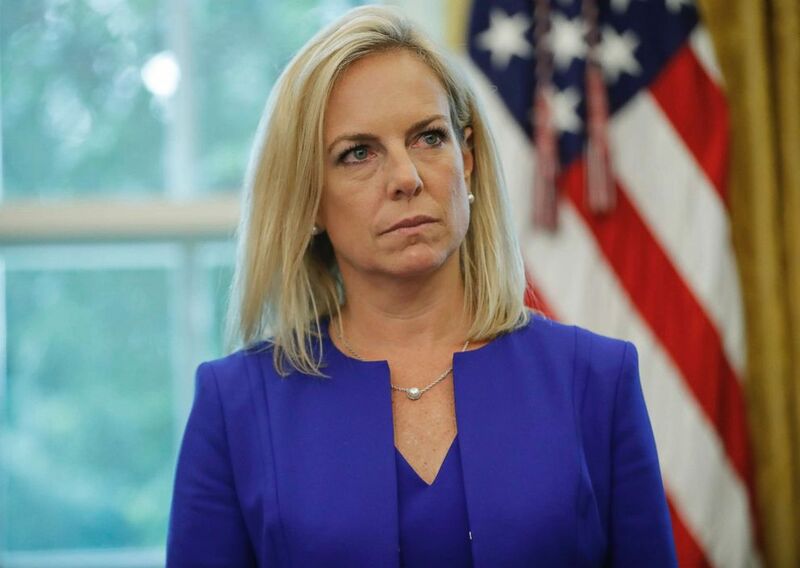 Nielsen, who became secretary at Homeland Security when John Kelly left DHS to become Trump's chief of staff, is expected to leave her role in the coming weeks and could be asked to resign, according to sources. However, Kelly is fighting to delay her departure, the sources said. The timeline for a shakeup remains unclear and the White House has not responded to a request for comment. 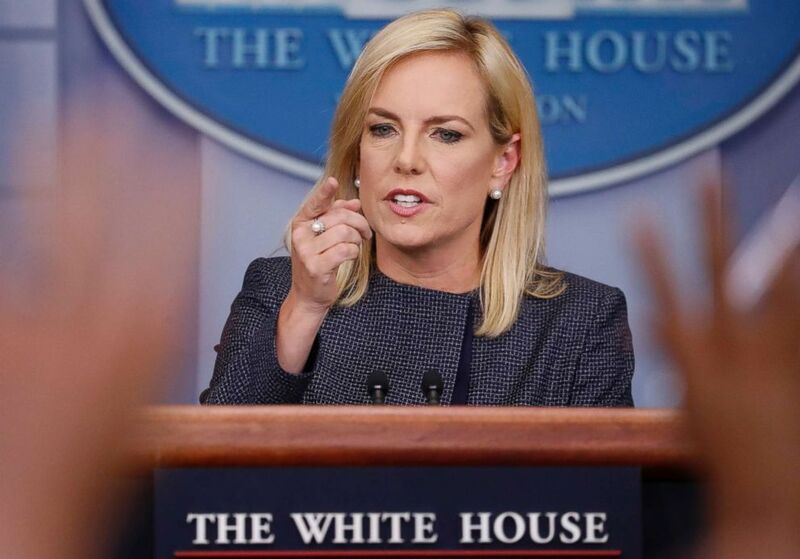 Homeland Security Secretary Kirstjen Nielsen speak to the media during the daily briefing in the Brady Press Briefing Room of the White House, June 18, 2018. “The Secretary is honored to lead the men and women of DHS and is committed to implementing the President’s security-focused agenda to protect Americans from all threats and will continue to do so,” DHS spokesperson Tyler Houlton said in a statement Tuesday. The Washington Post first reported the news of Nielsen's potential departure. The White House did not immediately respond to ABC News’ request for comment about the potential changes. Meanwhile, Kelly's job is also uncertain and his fate has been in question for some time. 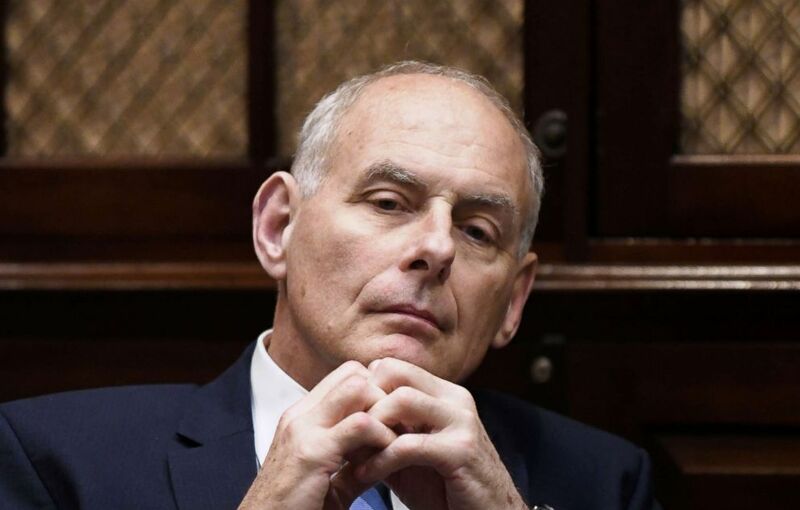 Sources tell ABC News that within the last few weeks, the president has once again discussed Kelly’s fate with many of his top advisers; Kelly has continued to grow distant with the president, sources said. This past summer, ABC News reported that Kelly had accepted the president’s request to remain as chief staff through 2020. 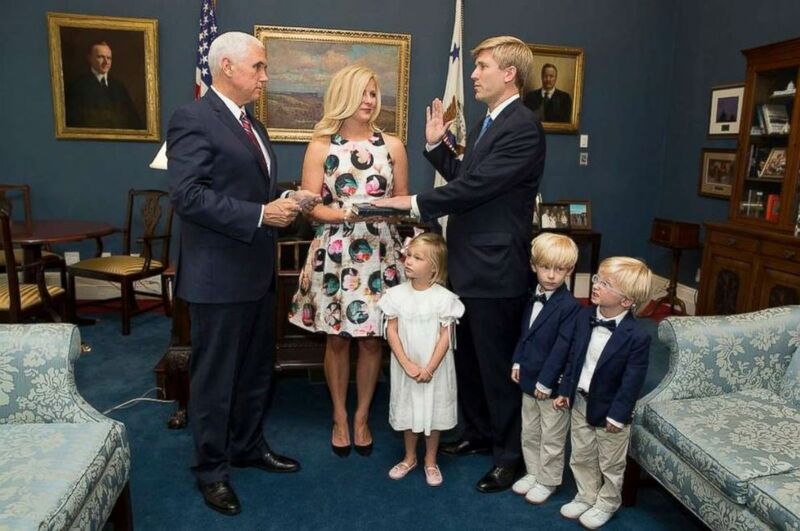 Vice President Mike Pence swears in his new chief of staff, Nick Ayers, who was joined by his wife and three children at the White House on July 28, 2017. Trump has expressed significant interest in Ayers with sources describing the 36-year-old as the leading candidate to take over as Trump's chief of staff. Some sources close to the president describe Ayers taking Kelly’s place as a "done deal" while others caution nothing is certain until the president says so. Ayers has become close with the president and in the last week and has met with him about taking the job. Multiple sources say the president and Ayers had an extended conversation on election night in the White House while watching returns. Ayers' role as the right-hand man to Pence over the past year has put him in close proximity during some of the key moments of the Trump presidency. Multiple sources tell ABC News Ayers has also grown close to the president's family, particularly Ivanka Trump and Jared Kushner, in recent months. President Trump has also complained about Kelly's lack of political acumen and has praised Ayers for his detailed political strategy for Pence's midterm election efforts. Ayers did not respond to a request for comment. Homeland Security Secretary Kirstjen Nielsen during an event in the Oval Office of the White House in Washington, June 20, 2018. Trump has previously wanted to fire Nielsen, but Kelly would frequently jump in and threaten to resign -- his threats delaying the move, sources have told ABC. They say there were times during the administration where Kelly and Nielsen even discussed leaving the administration together. The president has said privately for months he doesn't believe that Nielsen is doing enough to enforce stricter immigration policies. Just last month, there was a highly contentious confrontation between Kelly and National Security Adviser John Bolton over increased border crossings. Sources tell ABC News the fight had to do specifically with Nielsen's job performance. "There's no love lost between either of them," a senior administration official tells ABC News referring to Nielsen and Trump. "All that has kept Nielsen on was not her loyalty to the president but desire to protect the department from his whims and to let her people do their jobs."